Neighbors and classmates on Thursday were mourning two young boys found dead inside a San Jose apartment a day earlier in what investigators say was a murder-suicide commited by their mother. Based on the preliminary investigation, detectives determined the woman killed her 4-year-old and 7-year-old sons, Eric and Kevin, before taking her own life, police said. On Thursday, a makeshift memorial was growing outside the Dent Commons apartment where the boys lived. Grief counselors were on the campus of Lietz Ekementary School, where the boys attended class. On Wednesday, homicide detectives responded about 12:30 p.m. to the Dent Commons apartment complex in the 5300 block of Dent Avenue in South San Jose, police said. The boys' bodies were found along with the mother, who reportedly hanged herself. 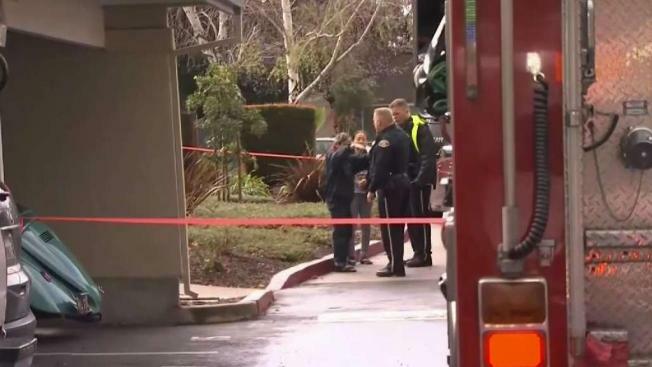 Two young boys and a woman were found dead inside a San Jose apartment Wednesday afternoon in what investigators say was a murder-suicide, according to the San Jose Police Department. Sergio Quintana reports. Witnesses said the husband and father returned home from a trip Wednesday and found his family dead. "It’s sad because we’re never gonna see the children on their bikes riding around the streets," neighbor Maria Flores said as she placed flowers on the memorial. "And my little one is asking a lot of questions." Neighbors believe the mother was suffering from depression after losing her job. But police investigators were not releasing any details. The Santa Clara Coroner’s Office will determine manner and cause of death. The identity of the victims and suspect will be released by the Coroner’s Office after notifying the next of kin. The homicides were the city’s eighth and ninth of the year. NBC Bay Area's Robert Handa and Sergio Quintana contributed to this report. 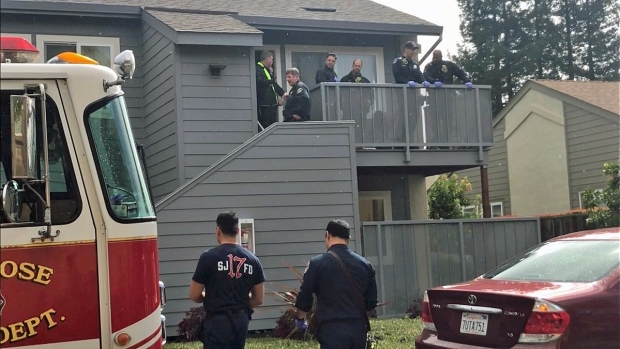 Two children and a woman reportedly were found dead inside a San Jose apartment Wednesday afternoon. Robert Handa reports.